You are invited to join a Very Special Place...The Coloring Book Clubhouse! 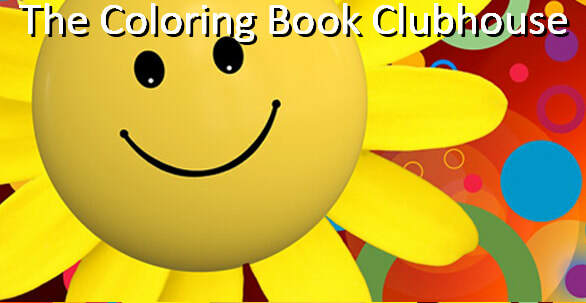 *FREE Membership in The Coloring Book Clubhouse Live Stream - Private Chat Room-This exclusive members only 24/7 live stream is the place for friends worldwide to hang out, inspire and encourage one another. Imagine meeting fun new people, plus having support and acceptance. Think of The Coloring Book Clubhouse like the secret tree houses and blanket forts that captivated you when you were a kid. Here you will find a friend when you need one. You have a place to belong! *Twice a Month Group Color Alongs – There's just something special that happens when you color with a group of people. When it's a group from The Clubhouse, it's even better! *Monthly Exclusive Coloring Sheet – Clubhouse members receive at least one EXCLUSIVE coloring sheet per month, which is created specifically for this group to color. You deserve to have this support! Disclaimer: The information and coaching provided by The Coloring Book Coach is intended to educate, inform, amuse, and inspire you on your personal journey towards optimal health and a thriving life. It is clearly not intended to replace a one-on-one relationship with a qualified health care professional and is definitely not intended as medical advice, diagnosis, or treatment. If you are under the care of any health professionals (or should be), we strongly encourage you to discuss modifications in your diet, lifestyle, exercise program, nutrition, with them prior to making any changes, and never discontinue or reduce prescription medications without consulting your doctor or pharmacist. *NOTE: New member pricing is for first -time members to The Colroing Book Clubhouse.